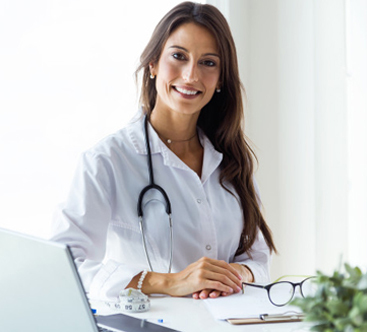 Cleveland Suboxone Doctor believes that feeding the body with nutritious and delicious food assists in a more comfortable and healthy recovery. After all, a well-balanced nutrition plan can help you fight your addiction by giving you the energy to recover from physical withdrawal and the ability to think clearly and stay focused. We always recommend that when you find a suboxone doctor in Ohio, you ensure they include nutrition in your suboxone treatment program. In most cases, by the time you seek help for your addiction, you are malnourished. This is partly because you may not be eating well, and partly because addiction harms the body’s ability to absorb nutrients. People addicted to opiates are often deficient in calcium, vitamin D, vitamin B6 and iron, while cocaine addicts are usually deficient in omega-3 fatty acids. Symptoms of malnutrition can range from insomnia and anxiety to early-stage osteoporosis and slow healing wounds to anemia and immune system challenges. These symptoms can make suboxone treatment and recovery a longer process, as your body is already in a weakened state. This is why it is important to incorporate well-balanced nutrition in your suboxone treatment plan in order to replace lost nutrients and regain strength for the recovery process. Vitamin and mineral supplements can be helpful in making sure your body is taking in those essential nutrients you have lost. However, you will need “real food” as well to provide you energy and ensure long-term recovery. A lot of times, recovering addicts use processed foods with added sugar, salt, and fat as a coping mechanism or reward. While the occasional treat is fine, you should also be healing your body with foods rich in nutrients and health benefits. Sugar: This will not only help stabilize blood sugar levels, but also will help with mood swings, anxiety and depression. Refined carbohydrates: Switch over to whole grain as often as possible for more nutrients. Processed foods: Artificial ingredients can make the liver work overtime, instead of giving it time to heal. Caffeine: Some withdrawal symptoms include insomnia and anxiety, which caffeine will only make worse. Protein: Besides the energy and muscle-building benefits of protein, it also has amino acids. Amino acids are often deficient in people suffering from addiction but are essential to helping the brain remain healthy. Fiber: Eating more fruits and vegetables can help heal the gastrointestinal system. Healthy Fats: Good fats such as olive oil, flaxseed oil and omega-3s will help your body absorb more vitamins. Nutrition is sometimes overlooked in suboxone programs, so make sure you are making it a priority. Good nutrition will help your body heal and give you a clear mind to focus on recovery. There is a link between depression/ mood swings and nutritional deficiencies, which can lead to relapse. A well-balanced nutrition plan during your recovery can make it safer, more comfortable, and long-lasting. Call Cleveland Suboxone Doctor to see how our focus on nutrition and our suboxone treatment plans can help you or a loved one break free from the grip of addiction.